The DC-GR2 Hydraulic Drum Rotator is a heavy duty 205 litre drum lifter with hydraulic grab & 130 degree rotation ability. 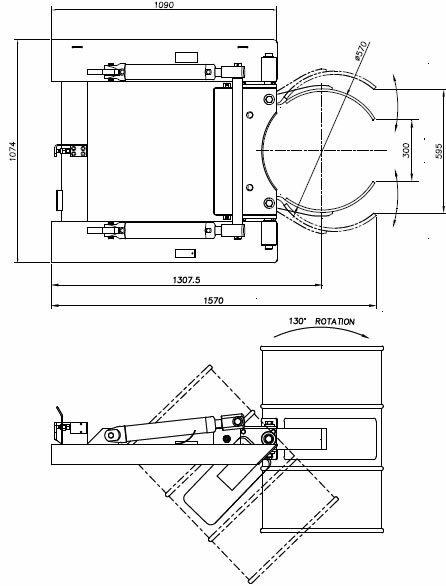 With 1 tonne lift capacity, this attachment is ideal for the recycling industry and for mining applications. 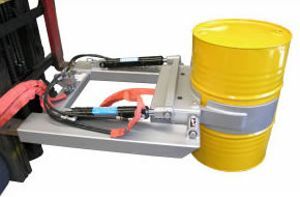 This lifter is able to pick a single drum from a pallet of 4 without disturbing the other 3 drums. 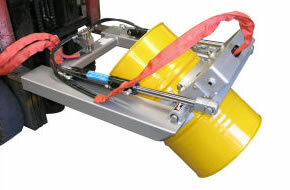 Unit is fitted with quick connect couplings for connection to the 3rd and 4th Forklift hydraulic valves.